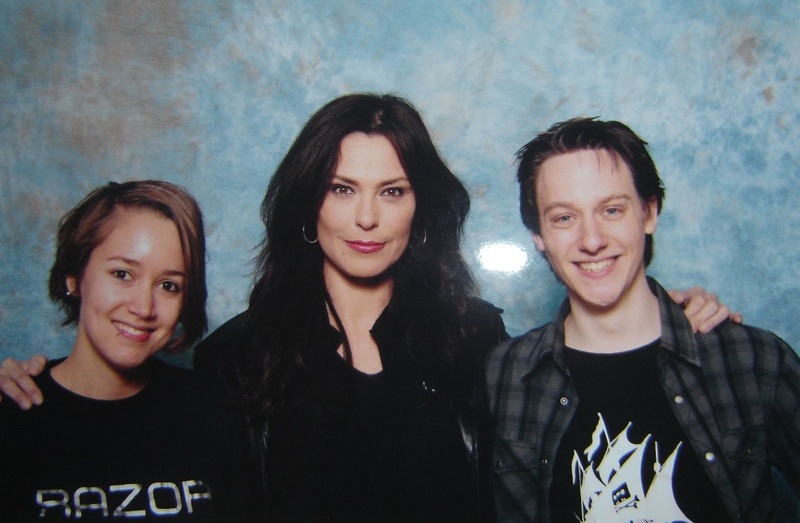 Have you taken a pic with your favourite actress Michelle Forbes? Have you got anything to hide? Don't be shy - this is a place to show us your photos with Mishka. More to come!!!!!!!!!!!!!!!! Bartman and Nanoforbes, don't you think you should be next? NOEEEEESSSS WHY did you have to go post that LOL! Bartie, you are as tall as her or maybe I' am wrong. How tall are you!? As if shes not impressive enough! Is this the only one pic you have got? OK,another one from the net.. I just wanted to say, I added a new wallpaper in PHOTO ALBUM. Hope you will see it! PS : added pix from Battlestar Starfury and from photoshoots in Photo Album, again....god! Oh that one is REALLY cute!